Guess the best snack that you’d like to relish on while watch the final season of Game of Thrones, which comes out on April 15? 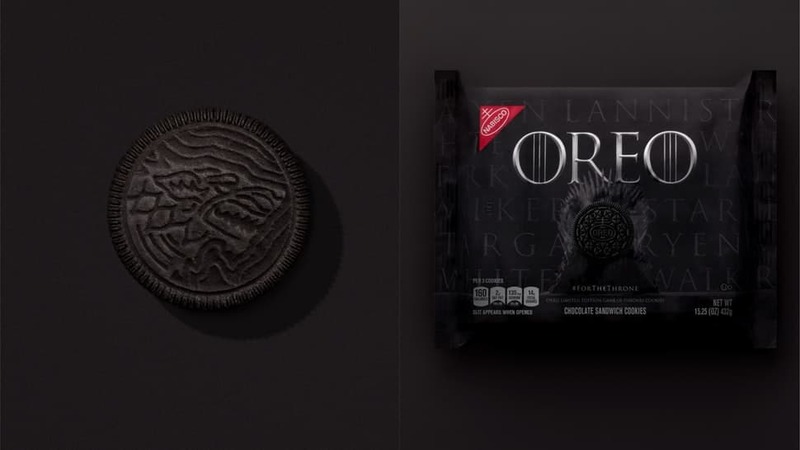 Well, it’s HBO x Nabisco new limited edition Game of Thrones Oreos. Apart from the Game of Thrones exclusive packaging, these cookies are stamped with the House Stark, The Night King, House Lannister and House Targaryen. Yes, this isn’t an April joke but a reality that’s about to happen very soon. The game of thrones cookies will be hitting the shelves tomorrow on April 8, but then we all know how these things work. They will be sold out everywhere and may probably end up on eBay for a ridiculous price before you even reach the supermarket. It was slated at $20 a pack at the time of this writing. So in case you want your Game of Thrones cookie fix without having to take on the crowds or paying, here’s all you need to know. It has been revealed by Walmart that the game of thrones Oreo cookies will be out for online order for pickup. Chances are that they’ll be available through this link but for now, we are still waiting for an exact launch time and location. Another nice option to get hold of the cookies is to order them right here via Amazon through the Prime Pantry. However, they’ll only be available for Amazon Prime members. The shipping on Pantry orders of more than $35 will be free for standard Prime members. It’s $10 or more in case you are a Prime Pantry member. Until now, we don’t really know about the exact launch on Amazon, however, if you’re in doubt you may check at midnight EST. If you’ve planned to make a move to the grocery store today, you would like to check the cookie aisle for the Game of Thrones Oreos.